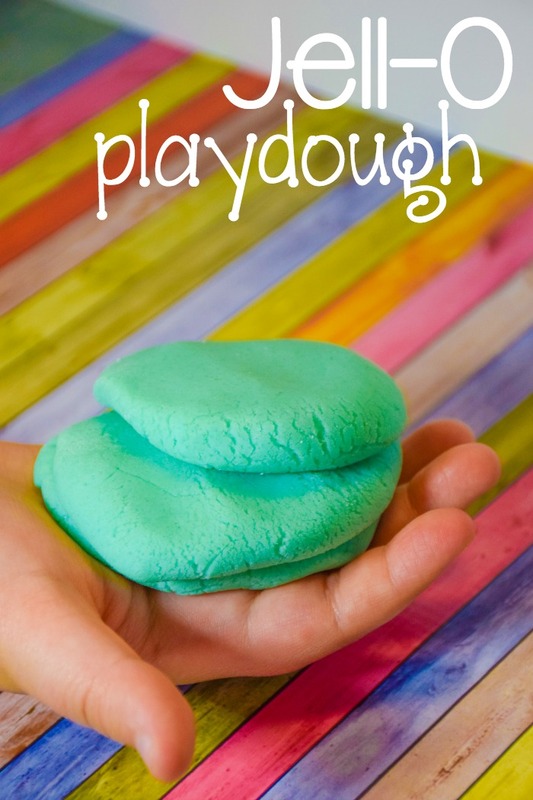 I love making my own playdough! 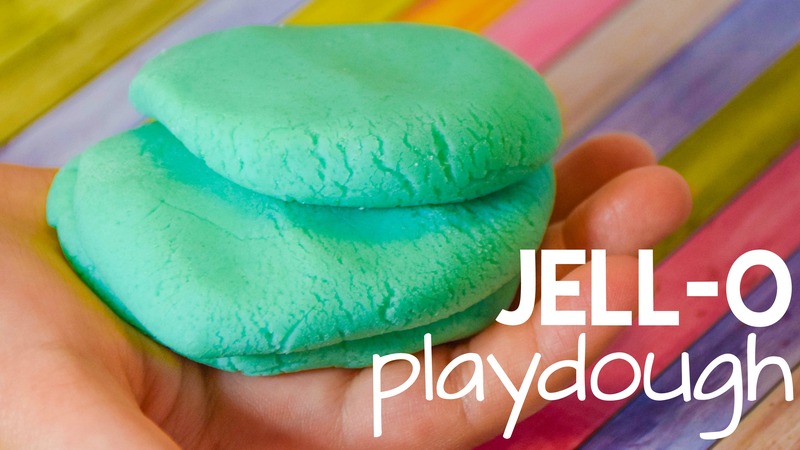 This Jell-O playdough is my favorite to make because it smells amazing! 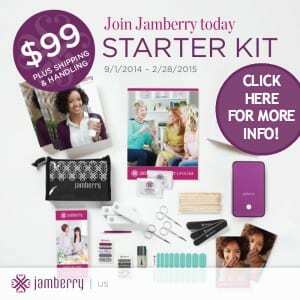 Can’t you almost smell the amazingness of the Jell-O Playdough through the screen? Add the hot water to the Jell-O and stir until playdough forms!